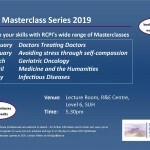 The RCPI Masterclasses help you keep up to date with evolving medical practice and recent advances in the management of common conditions, particularly those requiring hospital admission. The 2019 series focuses on improving the quality and safety of healthcare. 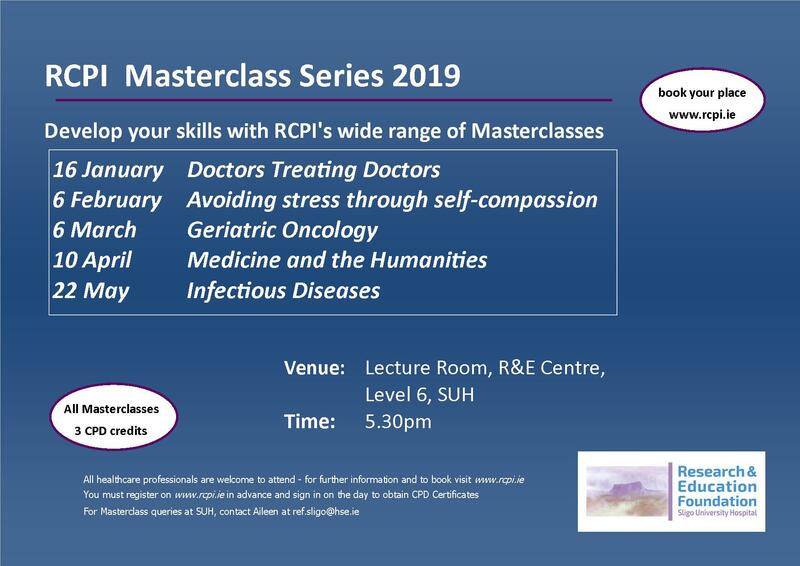 Masterclasses take place from 5.30pm – 7.30pm in the R&E Centre, Level 6, SUH. Posted in Education on September 20, 2016 .